- Must be fingerprinted for purposes of search of local, state, and national fingerprint files to disclose any criminal records. - Must be of good moral character, as determined by a thorough background investigation. - Must be free of any felony convictions. - Must be of proportional height to weight, be physically able to handle the rigorous duties of police work; possess normal hearing and color perception, minimum vision of 20/100 in each eye, correctable to 20/20. - Smoking and/or the use of tobacco products on or off duty are prohibited as a condition of employment. - Any visible tattoo(s), body art and/or body piercings are prohibited while performing department - Graduation from a California P.O.S.T. approved Regular Basic Course (academy) at the time of appointment or successful completion of the P.O.S.T. Basic Course Waiver examination process is required. Acceptance of a waiver is at the discretion of the Chief of Police. 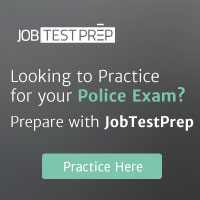 Candidates may qualify and test for the position while currently enrolled in a P.O.S.T. approved academy, but eligible list placement is conditional and contingent upon successful academy graduation. - Previous law enforcement experience is highly desirable. Police Officer Trainee applications are accepted on a continuous basis with the City of El Segundo Human Resources Department, 350 Main Street, El Segundo, California, 90245. You can request an application by clicking here.